The errors happen inconsistently. There are times I visit my site to make an update and everything is fine - no errors. However, since noticing the error the first time I’ve been visiting my site more frequently to try and resolve the issue and I’m noticing the error several times a day. I upgraded to the latest PHP version and I’m still having problems. This is not a heavily-visited site and I appear to have enough memory. I checked other forum topics and didn’t see a solution. Often when I get the error I refresh and everything is fine for awhile until I get the error again. I have used Dreamhost for years without any issues. This is the first time I’ve had an issue and it has been several weeks (a month?) that I have seen these errors. You should check the error.log for your site to see if a reason is given for the errors. Are you using a Shared or VPS account? I’m having this problem too. First noticed it yesterday (3/4/19). Both the wp-admin and site pages show http 500 errors. This leaves me no way to check any .log file. I tried to do so using FileZilla but my sftp credentials were not accepted (not sure I clearly understood what the correct credentials are, but did my best to research that with web searches. I can upload a screen shot of my FileZilla login panel if that will be useful to review). Solved! It was a PHP memory issue. Thanks for replying. Tech support was helpful and helped me increase the memory limit. I’m a naive user of Wordpress, so my question may sound a bit bizarre. If you were getting http 500 errors, how did you troubleshoot your PHP? I tried accessing my site with FileZilla and access was denied. You really have a separate issue and should post your own thread regarding this. Not being able to access your site using FileZilla. You can try looking at this page to see if that helps you. Not being able to access or understand what your error.log file is telling you. Try this page for help on that. This may or may not have anything to do with WordPress, btw. Hi justin7, I was constantly having the 500 error on one of my sites. In my case the issue was caused by one of the wordpress plugins I was using back then. I had to go one my one and deactivating each one, until the issue went again. I simply used a alternate plugin to get the intended functionality. Do you have the HTTP 500 internal server error in WordPress? 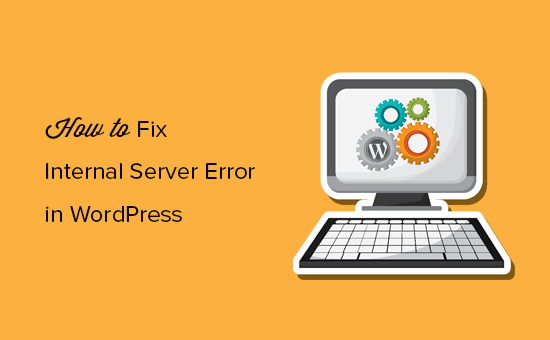 Step by step troubleshooting guide on how to fix the internal server error in WordPress. 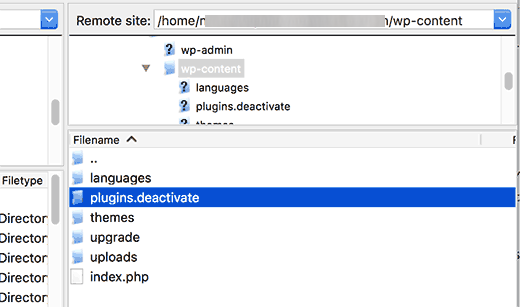 Renaming the entire “plugins” directory is a quick way to see if the issue is cause by one of your plugins.